When it’s time to have your house painted, you will surely need a professional painter in Nashville. The only decision left to make is which painting company you should hire. Many painting contractors in the Nashville area seem to offer the same services, but not all of them actually have the required skills or even the experience (not to mention liability insurance) to get the job completed, the way you envision it. These concerns are non existent when hiring Value Painting to undertake your painting project. As a top Nashville painting company, Value Painting has served the Middle Tennessee area for over a decade and has produced hundreds of satisfied customers thanks to our expertise, attention to detail and use of high-quality materials. Between our Nashville painting contractors we have over 50 years of experience and we only use the highest quality materials, such as paints from manufacturers like Sherwin-Williams and Porter Paints. Because of this you can rest assured that your project is in qualified hands and will be completed to your utmost satisfaction. We also have $1 million of liability insurance, so you can be sure that we have everything covered on that end as well. Your home is your most valuable asset and at Value Painting we treat it as such. With our 25 years of experience in the Nashville painting industry, we know how to come into someone’s home, treat it like our own, get the job done the right way, inexpensively, and then leave the home as if we were never there. We know that you value your home and we do too. When it comes to painting your home, our experience, attention to detail and deep desire for customer satisfaction make Value Painting a no-brainer! Check out more about our house painting services. When you hire us for residential or commercial painting in Nashville, you can be sure you’ll receive top-quality work. With our interior painting service, you won’t have to worry about our painters leaving a mess or getting drippings on your floor or furniture. We’ll cover the area with tarps, newspapers or tape to make sure the paint only goes where it belongs. Once we’re done, we’ll make sure that there is no mess left behind. We’re also experts at exterior painting in Nashville, TN. You can count on us to choose the right types of paint for the environment so that the work won’t have to be redone for years. 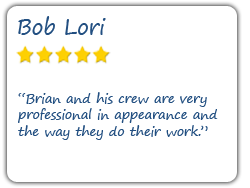 You won’t have to be concerned about our experience or quality when you hire us. We have the equipment and expertise to complete your exterior paint job safely and professionally. Value Painting also handles commercial painting in Nashville. We’ll get your commercial jobs done quickly to minimize any disruption to your business. Hiring us will allow you to stay focused on your business instead of wondering how the paint job is going to come out. You can be sure that you’ll get the nice, fresh look you seek without having to worry about cleaning up a mess after we leave. Whether you want a single room painted, the exterior of your house refreshed, or you want a new look for your commercial building, we can do the work. Give us a call. 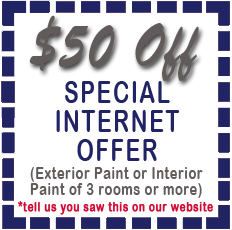 We’ll be glad to give you a quote or set up an appointment for all of your residential or commercial painting needs! Did you know we have a sister company? That’s right, we also own top Nashville roofing company Value Roofing. If you have any need for roofing in Nashville, whether it be residential, commercial, new roof, roof installation, roof repair, etc. we’re here to help!